2nd & 4th Mondays at 7:00 P.M. 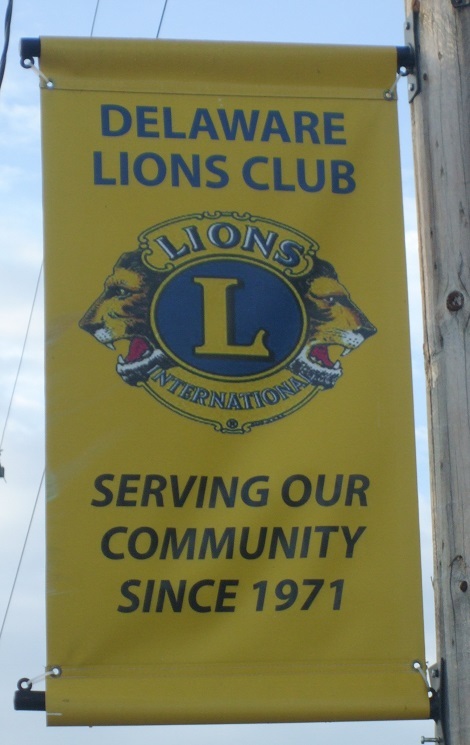 The Delaware Lions Club is composed of men who have a desire to help serve their fellow man. We are not a social or professional organization. We are a civic organization dedicated to serving. But here is the secret, we know how to have fun and by having fun as we serve, we do it well. Serving our Community since 1971! DELAWARE LIONS CLUB NEXT MEETING!!!! >>> Closed - EASTER MONDAY!!! DELAWARE LIONS CLUB NEXT FUNDRAISING ACTIVITIES!!!! DELAWARE LIONS CLUB NEXT SERVICE ACTIVITIES!!!! Do you want to help the less fortunate? Do you want to feel the joy of Lionism? Do you feel the need to help? Interested in being a Member of the Delaware Lions? Currently 46 Delaware Lions are here to answer your questions about 'What it takes to be a Lion'!